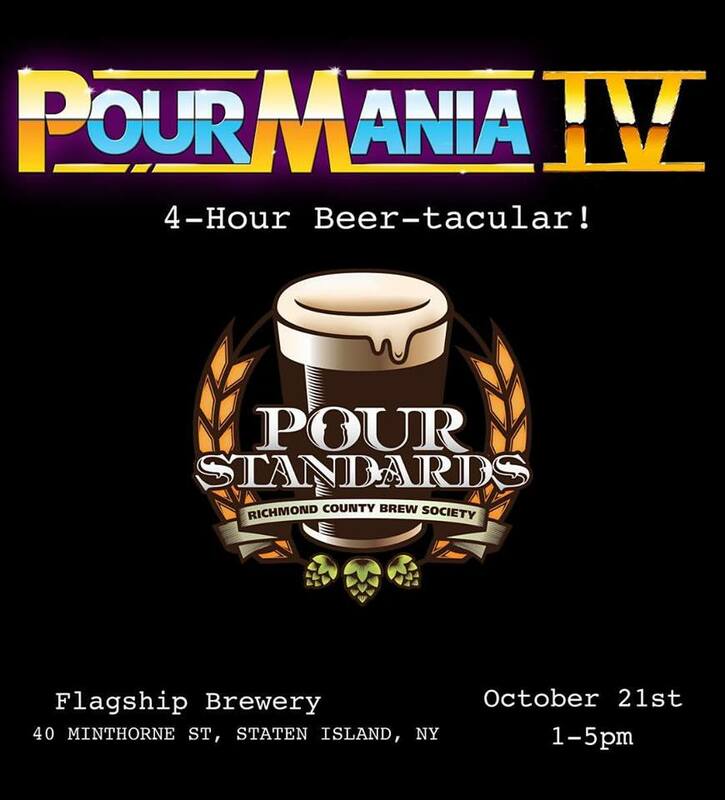 Pour Standards Homebrew Club presents POURMANIA IV on Saturday October 21, 2017 from 1-5pm. Last year was an amazing time, and this year will be even better! We're at Flagship Brewing Company again, and much thanks to the Flagship crew for hosting the event for the third year. For a $25 donation ($25 early bird, $30 as we get closer to the event) to our New York State Registered Non-Profit devoted to home brewing, you will have access to unlimited tastings of various, delicious, homebrewed Beers & Ciders, and even some Meads. These donations will help support the club for the coming year, and will go a long way to helping Pour Standards put on our annual "Brew For Autism" fundraiser, which will be happening again in 2018. SUPPORT the brewing community and SUPPORT Staten Island... while trying awesome homebrew! There will be music, raffles prizes, and a 50/50 during the event as well. Food will be available for purchase. More details will follow as we get closer to the event. We hope you can reserve the date and attend.